CRAZY COOL GROOVY!!! : I LOVE 2 EAT #191 - BIG EASY LOUISIANA GRILLE!!! Because Niecy was on Spring Break the week before last; that Friday, March 16, Yours Truly CCG stepped out for an early dinner!!! Coming from the direction of Southwest ATLANTA a.k.a. The SWATS, CCG traveled north on Northside Drive making a left turn at Collier Road. 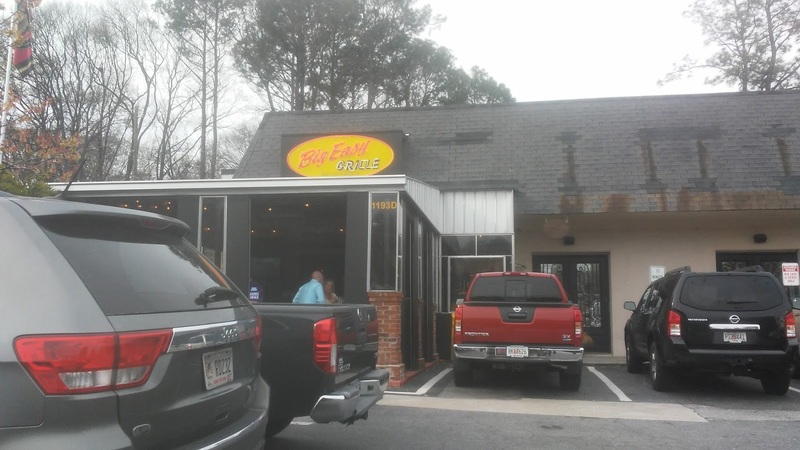 Crossing Traveling Collier Road, then crossing Howell Mill Road, The BIG EASY GRILLE pops up on your right side. Arriving just after the late lunch crowd and just before the early dinner crowd at about 4:00 PM, the house was in transition with maybe 25% of seats being occupied. Self-seating is the policy and within 2 minutes, a very friendly server was table-side with a menu and taking my drink order. CCG decided on the ALLIGATOR CHILI (photo above) for an appetizer, and for an entree; the SHRIMP & OYSTER DRESSED HALF & HALF DRESSED PO-BOY (photo below). This was Ya Boy's first time ever having ALLIGATOR CHILI , and, it was On FIRE!!! 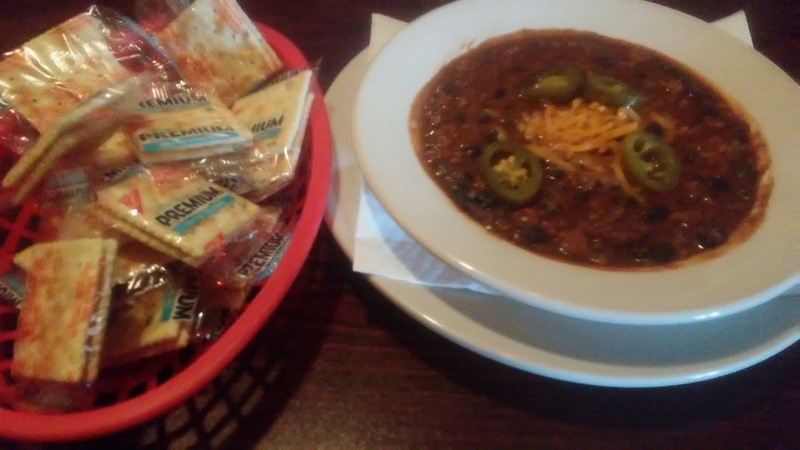 Tender-tasty chunks of alligator in a dark brown roux with black beans, accented with garlic, onions, tomato, garnished with Jalapeño Peppers, and; topped with Cheddar Cheese. 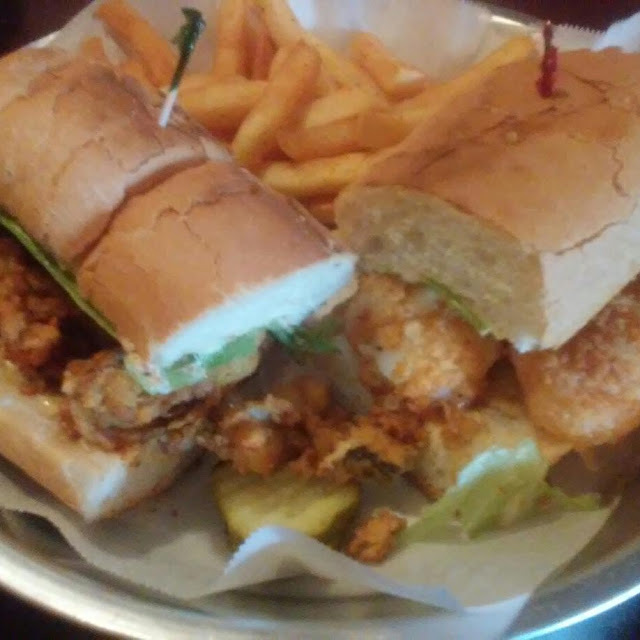 The SHRIMP & OYSTER PO-BOY was full of well-sized, well-fried shrimp and plump oysters, fresh lettuce, tomato, and, pickles on warm hoagie bread. The PO-BOY comes with their own special SEASONED FRENCH FRIES. 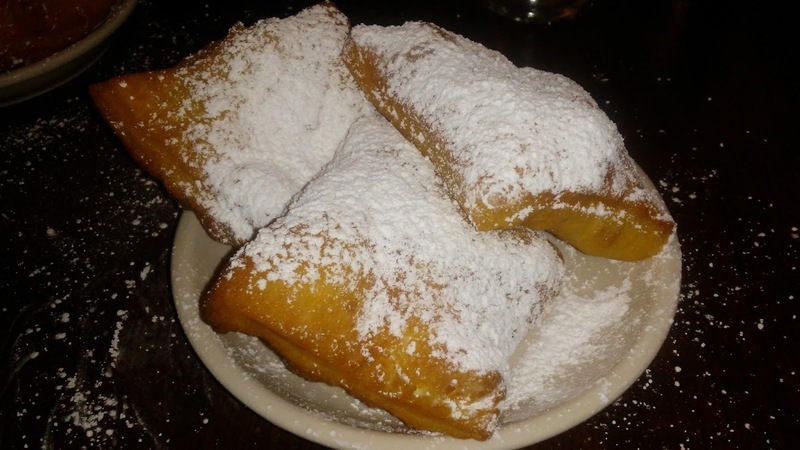 The BIG EASY LOUISIANA GRILLE has BEIGNETS, Baby!!! SWEETNESS Is My WEAKNESS, Baby!! !